This charming set of ads by Y&R Peru encourages men to do just that. 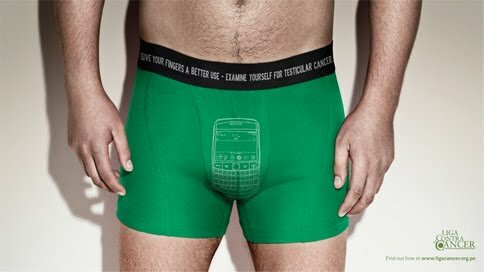 Created for League Against Cancer to promote self-checking for testicular cancer, each ad uses a simple line art illustration to create the mental image of spending some hands-on time with the family jewels. Ok men, go examine yourselves, unless of course you're at work, in which case please wait until you get home.